Uber Settles 2 Lawsuits, Won't Have To Treat Drivers As Employees : The Two-Way The company has agreed to settle two class action suits for $84 million — and more if Uber goes public and its value increases by a certain amount. Uber won't have to pay drivers benefits. 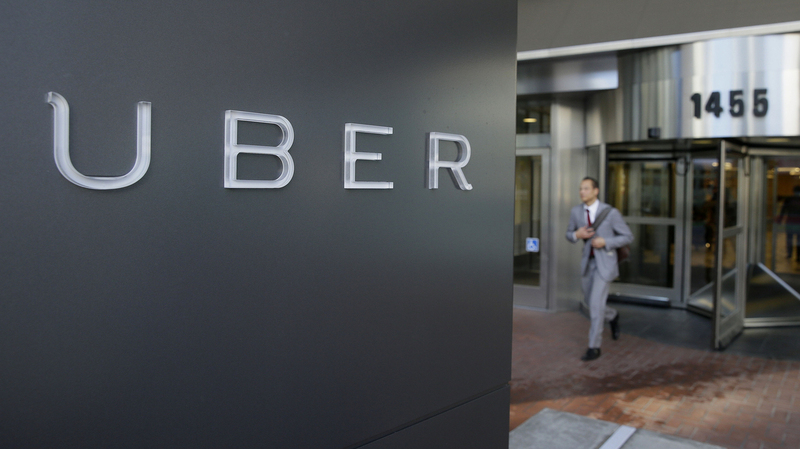 Uber has settled lawsuits in California and Massachusetts with a deal that allows it to consider its drivers independent contractors, not employees. Uber drivers will stay independent contractors, not employees, in California and Massachusetts, just as the ride-booking company had maintained they were. Uber is settling class action lawsuits by drivers in the two states for a maximum of $100 million. In a statement, the company says it will pay the plaintiffs $84 million, plus another $16 million if Uber goes public and within a year increases in value by one and a half times over its worth in December. The deal allows Uber to keep labor costs low because it doesn't have to pay independent workers the same kind of wages, expenses and benefits as employees. In a claim last year brought by an Uber driver, the California Labor Commissioner ruled the driver was an employee. Although the commissioner's ruling was specific to the claim and not precedent-setting, it gave plaintiffs some ammunition and Uber more incentive to negotiate. Still, Uber has been able to keep this aspect of its business model in place. "I think if you talk to the vast, vast majority of Uber drivers, they like the classification because it gives them maximum flexibility not just day-to-day and hour-to-hour, but they can sign up and do this for three months when they're home from school or when they've lost some hours. And then if they decide to stop doing it, they can stop doing it. So we're very confident in the legal case. We don't control schedule. We don't control hours. There's no set route. There's no set uniform. So we're very confident in our business model." "Shannon Liss-Riordan, an attorney for the drivers, said Uber passes on a lot of costs. "'They have to pay for their own cars. They have to pay for their gas. They have to pay for the wear and tear on their vehicles. And basically Uber is able to shift all those expenses to its drivers and not have to pay it themselves,' she says." "Any ruling in this case could affect other companies in the sharing economy, like Airbnb, TaskRabbit and Lyft, an Uber competitor, says Stanford law professor Bill Gould. "The sharing sector is 'where this question of misclassification of employees into independent contractor status is arising with increasing frequency,' he says." "Uber will no longer be able to deactivate drivers at will. Instead, drivers may only be terminated for sufficient cause. And drivers will receive warnings in most instances and thus opportunity to correct any issues prior to deactivation ... and drivers will not be subject to deactivation for low acceptance rates." In addition, she says, Uber and the drivers will have a formal grievance procedure. And drivers will have the right to post signs in their cars telling customers that they are free to tip the drivers.